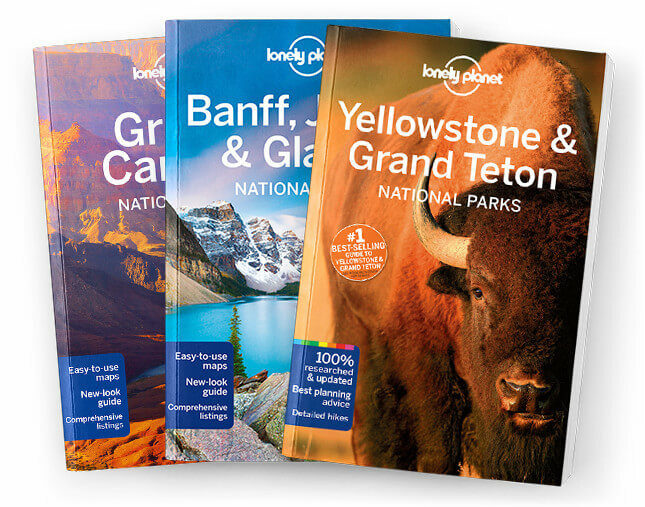 This chapter contains the History, Conservation, Outdoor Activities, Wildlife and Geology chapters from Lonely Planet’s USA’s National Parks guidebook. All the info you need on all aspects of history, conservation and environmental issues, geology, wildlife and outdoor activities. Coverage includes: History, Conservation: Climate Change, Invasive Species, Sustainable Visitation, Outdoor Activities: Hiking, Rafting, Canoeing, Kayaking, Boat Tours, Snorkeling, Rock Climbing, Mountaineering, Cycling & Mountain Biking, Winter Sports, Swimming, Fishing and Horseback & Mule Riding, Wildlife: Bison, Moose & Other Grazers, Bears, Wolves & Coyotes, Cats, Small Mammals, Birds, Amphibians & Reptiles, Trees & Plants and Geology.